Bad starts are a part of the game. They are a part of all sports, not just football. Teams start games poorly all the time. It’s not unusual for a season to start on the wrong foot either. When that happens, the standard response from teams is to stop the blood loss. Whether it’s a game or the season that means the same thing. Stop making bad decisions. But it appears that the Baltimore Ravens have a different strategy when it comes to dealing with a bad start to the season. Rather than stop the blood loss, they appear to be sticking the knife in deeper and twisting it around. The losses they have had to deal with are enough to drive any coach or fan crazy. Running back Kenneth Dixon, tight end Crockett Gilmore, and rookie offensive lineman Nico Siragusa have each suffered a season-ending injury. If that wasn’t enough, offensive lineman John Urschel decided to retire, and quarterback Joe Flacco injured his back while lifting weights. Injuries are part of the game, and good teams are ready for them when they do. But three season ending injuries before the first preseason game? Then you have another guy retire? How much more can a team take? Well—your backup quarterback can throw better passes to the defense than the offense, you can talk about signing a controversial quarterback, you can sign an Arena football quarterback instead, and then keep talking about signing that controversial guy until you say something stupid. 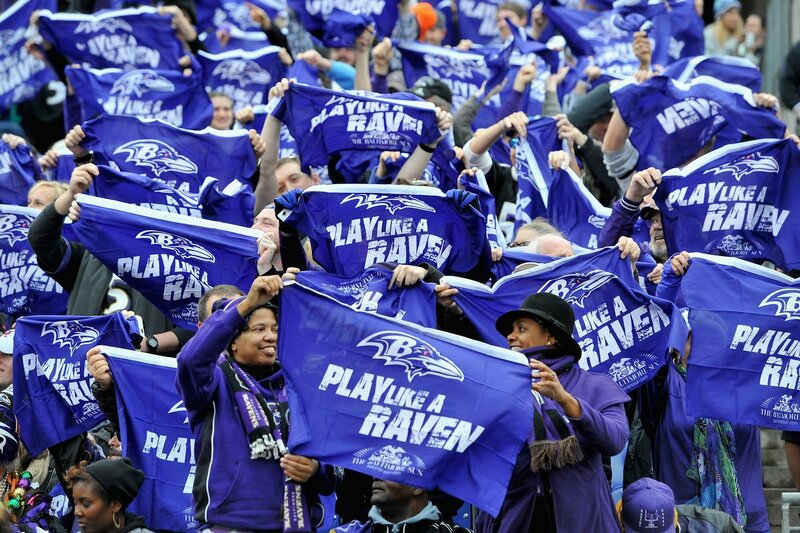 You know—like the Baltimore Ravens have been doing for the last week. Every time a quarterback job become available, Colin Kaepernick’s name is going to come up. That will probably be true for at least the duration of this season. Folks really thought there was a chance the Ravens would sign him because of the Harbaugh connection. But then they went with an unknown Arena football guy no one has ever heard of for a few days before cutting him for another quarterback no one has heard of. Why didn’t they sign Kaepernick instead? They just wanted a ‘camp arm, ’ and they didn’t see Kaepernick filling that role. But then Ryan Mallett had to go and stink up the field his first couple of days running the first team in practice. Okay, so, Flacco will be coming back soon, but surely they would want a better reserve than what Mallett was showing himself to be—right? As far as the general public knew, the Ravens were talking about possibly signing Kaepernick, but it hadn’t gotten any further than that. When word began to spread, the fans reacted—and it wasn’t good. But if he can help the team win games, the fans (many of them at least) will forgive and forget. So, the internal discussions continued. And then Ravens owner Steve Bisciotti got weird. Pray for them? He realizes it is just football, right? The fate of the world is not in the balance of anything like that. It was an odd thing to say, but then maybe what he meant was ‘pray that no one finds out I don’t actually want this kid on my team.’ But then ESPN spilled the beans. According to the World-Wide Leader in Sports, Harbaugh and GM Ozzie Newsome wanted to sign Kaepernick, but Bisciotti did not. As could be expected, the Ravens released a statement denying the claim made by ESPN. To be fair, ESPN said he was ‘resisting’ the idea. That could mean he’s told Harbaugh and Newsome that he doesn’t like Kaepernick and would prefer not to have him on the team if there are other options available. That could explain why they talked about Robert Griffin III and are now talking about former Kansas City Chiefs quarterback, Aaron Murray. The way Newsome puts it has more of a sense of finality to it. So, it is entirely possible that both reports are true. Whether they are does not change one thing—the Ravens have turned an injury-filled start to the 2017 season into a public relations nightmare. The injuries were enough of an issue. But by tossing in the flirtation with Kaepernick, they have succeeded in becoming the team people felt sorry for because of the injuries, to one in danger of becoming a dumpster fire.